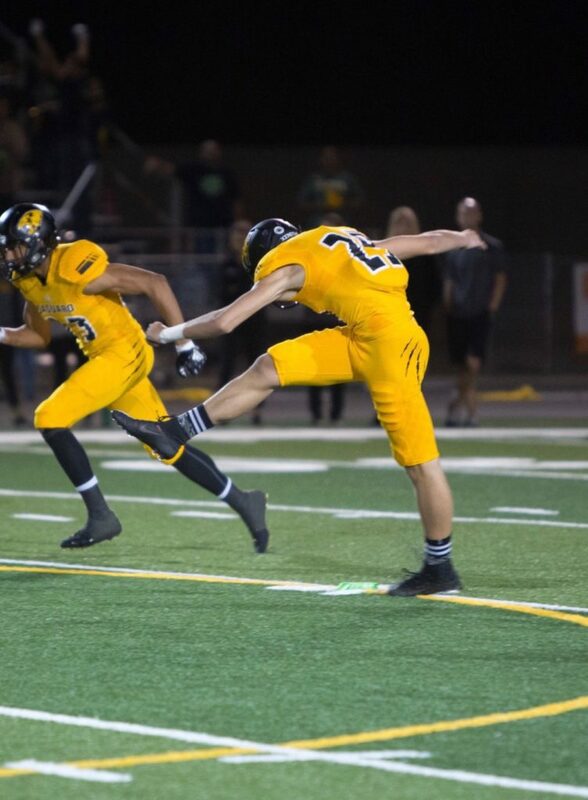 Hey everyone, my name is Parker Lewis and I am a Kicker/Punter from Saguaro High School in Scottsdale, Arizona. I am currently ranked in the Top 10 in the country for the Class of 2020 for both kicking and punting by Kohl’s Kicking Camp. Earlier this month, our team won the state championship for the fifth time in a row. This was a very big deal to us, because it is a new state record. For a little background, I transferred from Brophy College Preparatory to Saguaro High School before my sophomore year. It was a big decision for me and my family to transfer, because both schools are excellent. Brophy is a private all-boys school and is cultured around the Jesuit teachings of St. Ignatius, while Saguaro is a public school. Both schools have strong academics. Saguaro’s football program has been one of the best in Arizona for years and that was something that I wanted to be a part of. While football is important, being challenged in the classroom also played a role in my deciding to transfer. After our team won state on December 2nd, I had only six days to get ready for the Kohls Western Showcase in Los Angeles, which required a five hour drive to Fullerton College. There are five showcases across the country where you get ranked and compete for an invitation to the Kohl’s Underclassman Challenge in Florida in early January. The showcases are designed to measure a kicker’s ability in 3 phases: charting, drill work, and competition to evaluate how a specialist performs under pressure. Kohl’s Kicking analyzes the data along with personal observation and uses this to stack-rank its kickers, punters and long snappers. Kohl’s invites the top 10% from every regional to the Underclassman Challenge. I had a solid showing at the Western Showcase and received an invitation to the Underclassmen Challenge despite being exhausted from our 14 game state title run. The Underclassman Challenge is where all of the top Freshman, Sophomore and Junior, kickers, punters and long snappers across the country are invited to battle head-to-head. 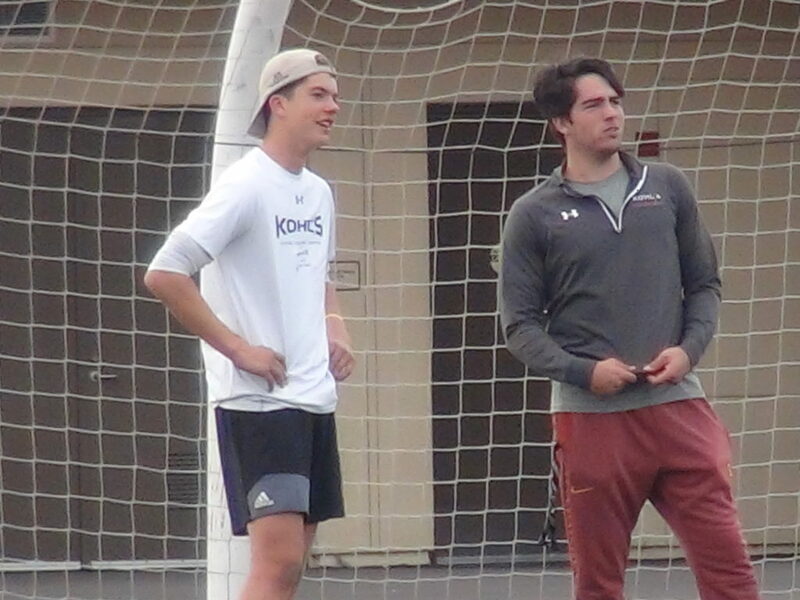 Parker Lewis chats with USC kicker Chase McGrath at Kohl’s Kicking Camp LA Regional. The event will be in Orlando, Florida on January 6th and 7th. I am currently on Winter-break and training for my journey to Florida. I am weight lifting, kicking, and doing online video sessions with my kicking coach Sam Watts as I tune-up for this event. I look forward to blogging about my time in Florida and through 2018.